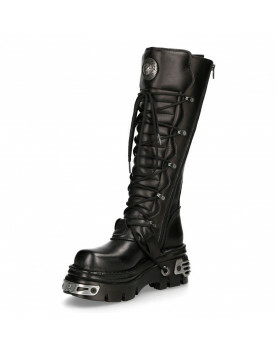 Cheap new rock black purple metallic boots with 4 buckles. SOLE MATERIAL : NATURAL RUBBER. FASHION : GOTHIC ALTERNATIVE URBAN. La talla 39 esta disponible, no necesita espera. Gracias.